With the implementation of the Common Core State Standards, writing instruction will become distributed throughout the school. Writing from sources require students to respond to the ideas, events, facts, and arguments presented in texts they are assigned. Teachers can improve student literacy skills by increasing writing assignments, yet some teachers have expressed a reluctance to assign more frequent writing tasks because they fear it will increase their workload. Implementing an effective peer review program with free online polling tools like surveymonkey, polleverywhere, and google forms can transfer the burden of grading from teachers to students. The grading process becomes a student-centered, learning by evaluation collaborative activity. 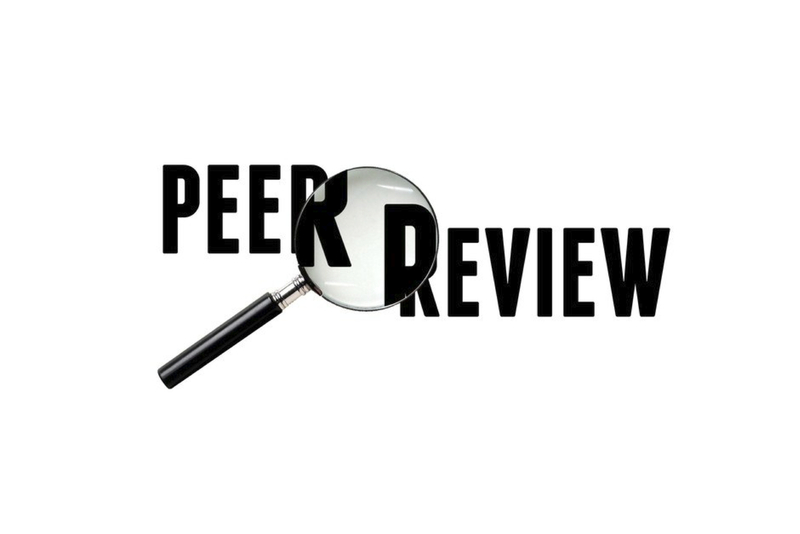 O’Toole (2013) suggested peer assessment should be structured, with a learning design that includes “phases of activity, peer assessment, reviewing and reflecting” (p. 5). Brookhart (2013) recommended student-generated rubrics to allow for highly effective peer grading systems. Bardine and Fulton (2008) advocated using revision memos to have students explicitly address weaknesses in drafts and develop confidence in academic writing. Peer review programs give students practice in developing the skills necessary to recognize effective thesis statements, use textual evidence, and refine arguments. Learning by evaluation significantly improves a student’s self-assessment abilities and lays the groundwork for self-improvement. Thus, learning by evaluation programs should focus on one or two aspects of effective writing, include student discussion to drive reflection about writing as an iterative process, and allow increased instructional time for student revision. I polled English teachers at my school and found that 39% were confident in their ability to teach students how to write a thesis. After surveying our students, however, only 9% were confident in their ability to develop a thesis statement. This gap suggests teachers need to give students more practice in developing, identifying, and assessing thesis statements. Further, teachers can showcase student exemplars and improve weak thesis statements via thinkalouds. Once students gain more confidence and proficiency in writing thesis statements, teachers can move on and address other factors in effective academic writing, such as claims, rebuttals, argumentative strategies, document usage, and citations. Bardine, B., & Fulton, A. (2008). Analyzing the benefits of revision memos during the writing and revision process. The Clearing House, 81(4), 149-154. Brookhart, S. M. (2013). How to create and use rubrics for formative assessment and grading. Teacher Librarian, 40(4), 52. O’Toole, R. (2013) Pedagogical strategies and technologies for peer assessment in Massively Open Online Courses (MOOCs). Discussion Paper. University of Warwick, Coventry, UK: University of Warwick. (Unpublished).